We dispatch goods on Monday through to Friday except for Public and Bank holidays. No goods are dispatched on weekends. We offer free next working day delivery to mainland UK on all orders of £30 and over. Orders under £30 are charged a flat rate of £2.50 (nb. surcharges apply to parts of Scotland, N&S Ireland and all UK islands except the IoW). Order placed before 1.00pm Mon-Fri are usually dispatched the same day unless we contact you. Cheque: If you have paid by cheque please be advised that goods will not be dispatched until clearance thereof; the whole process may take up to 10 days. Our normal delivery period will run from the time that a cheque clears. Bankers Drafts are accepted. Please note that due to a number of counterfeit drafts in circulation we will require confirmation from our bank before goods are dispatched. However there is no clearance period as such. Our main courier is DPD Interlink Express who provide a one hour delivery prediction by text to a mobile and/or email. Please ensure you have received your item in good condition before signing for it, otherwise sign 'Unchecked'. Most orders are sent via DPD. We have found DPD to be the most innovative parcel carrier around. Thanks to their industry-leading Predict service, we are able to provide parcel recipients with a one hour delivery window, notified by SMS and email, so you don't have to wait in all day. What's more, their revolutionary Follow My Parcel service enables you to watch the progress of your delivery on a real-time map, all the way down to a final 15 minute timeslot. They even tell you the name of your DPD driver, as well as the position you occupy in their delivery queue. Occasionally we may dispatch an order via Royal Mail Parcel force or alternative carrier. For the UK (mainland only) we offer a free next working day delivery on all orders of £30 and over. Orders under £30 are charged a flat rate of £2.50 . Orders must be placed before 1pm in order to allow enough time for picking and packing. Orders placed after 1pm GMT or at weekends will be processed the next working day. Please note that while we make every endevour to fulfill this delivery timescale this does not form a contractual undertaking and there may be occasions where such is not possible. Where there is an expected despatch delay of over 24hrs we will notify you by e-mail. We offer a standard delivery to all other areas worldwide excluding UK mainland. This averages 2-3 days and a maximum of 14 days. Surcharges (calculated on the weight and dimensions of your order) will apply to the Scottish Highlands, Northern Ireland, Republic of Ireland, all UK & Scottish Islands, Europe and the rest of the world - see rates below. Your order will be picked and packed either the same or the next day depending on the time of day, subject to stock availability and security checks. All orders will require a signature on delivery. Whilst we will make every effort to deliver within the time stated on our website, we will not be liable for any loss caused to you by late delivery. Please notify us as soon as possible by email if you do not receive your goods within a reasonable time. We will endeavour to get your goods to you as soon as possible or you may cancel your order and obtain a refund. We will attempt to deliver your order to your delivery address. 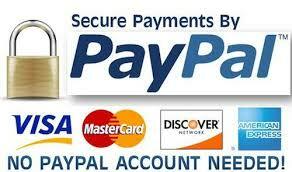 For security reasons, overseas orders will only be delivered to the cardholder's billing address. 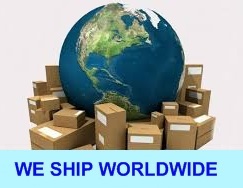 Overseas orders, delivered outside the United Kingdom and Europe may be subject to local duty and customs taxes. In this case, our goods are supplied DDU (delivery of duty unpaid). This means that Puriflow Water Solutions Ltd., is responsible for making a safe delivery of goods to a named destination, paying all transportation expenses but not the cutoms duty or associated charges. Puriflow Water Solutions Ltd bears the risks and costs associated with supplying the goods to the delivery location, where the buyer becomes responsible for paying the duty and other customers clearing expenses. The United Kingdom's Distance Selling Regulations 2000 provide you with a right to cancel your order for products at any time up to the end of the seventh working day following the day after the day on which you received the products. Puriflow extend this period to 30 days from receipt of order. You do not need to give us any reason for cancellation. If you wish to cancel your order please email us with details of your cancellation. If you have already received the products you must contact via the Returns Form us to obtain a return authorisation before sending goods back. 1/ Dispatch that part of your order which is in stock and send the remainder as soon as it is avaialble. 2/ Wait until the entire order is present before dispatch. 3/ Dispatch that part of your order which is in stock and refund the delayed items. 4/ Refund the entire order. We will take great care to ensure that you receive your goods in perfect condition and that they are in good working order. However, if your goods are damaged or faulty, please email us within 3 working days of receipt of your order. We will either replace the goods or arrange a refund as appropriate. We will also either arrange for the damaged goods to be collected or, if appropriate, kindly request that you return them to us and we will pay you the cost of the return postage. Please contact us by email and we will issue you a returns number (which you will need to include in the package) and instructions on how to return the goods to us.